"I am the owner and main trainer at Vicky's Pet Services. I am also Regional Manager for Puppy School tutors in the Midlands area. 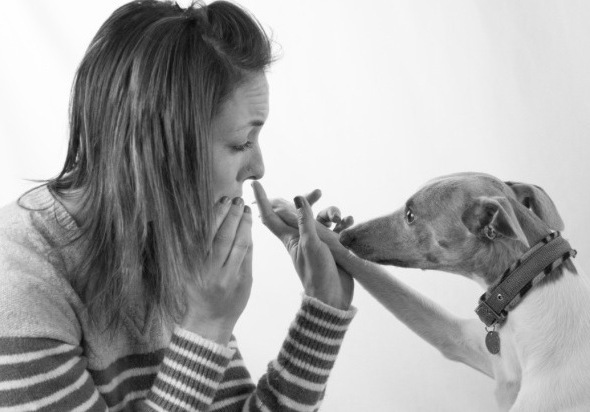 Each and every tutor training Puppy School courses have been handpicked and personally mentored by internationally renowned trainer, behaviourist and founder, Gwen Bailey. I began teaching classes in 2008 after spending 5 years as Behaviour Advisor and Animal Welfare Assistant, caring for and rehabilitating dogs and cats at the Blue Cross in Bromsgrove, Worcestershire. The variety of ages and breeds worked with on a daily basis provided me not only with invaluable experience, but also the passion to realise that working with animals is a life-long vocation. I share my life with my husband Gareth, and our Collie cross Ted and Whippet Bill. I attend regular seminars and training courses to update my knowledge which is of paramount importance for me. I am a member of the Association of Pet Dog Trainers www.apdt.co.uk Trainers belonging to which adhere to strict codes of conduct, and use kind, reward-based methods. I am also a registered Animal Training Instructor for the Animal Behaviour & Training Council www.abtcouncil.org.uk". 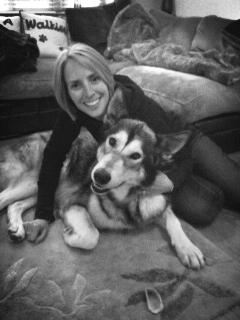 "I became involved after attending Puppy School with my Alaskan Malamute, Nanuk in 2014. The classes effectively changed my life when I quickly realised that learning more about what makes dogs tick was something I definitely wanted to incorporate in to my spare time. 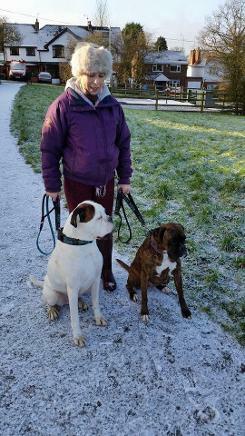 I feel well and truly part of the team now as I also assist with Vicky's dog walking and pet visiting services". I feel very lucky to be part of such a lovely team and our enjoyment of working with one another gives classes a relaxed and friendly atmosphere, which is a lovely learning environment for people and pooches alike!" 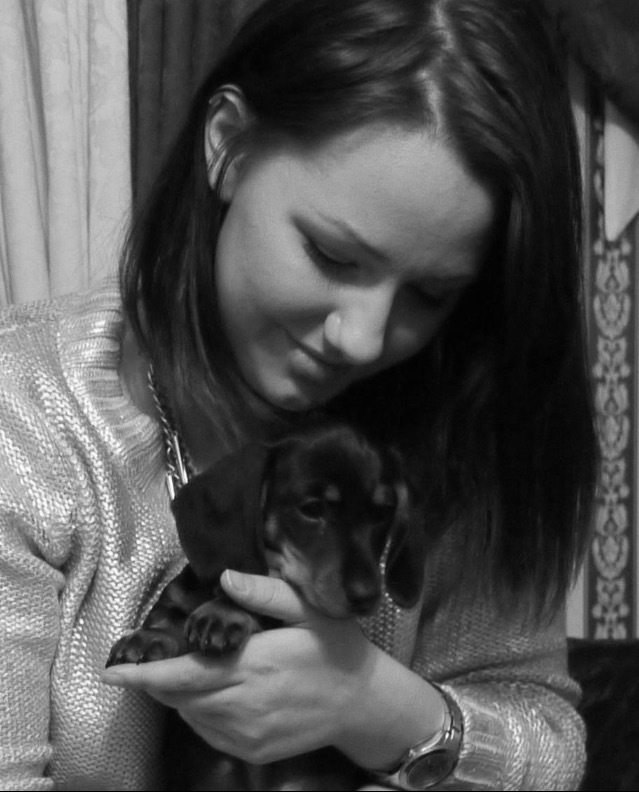 "I have been assisting in both puppy and adult classes since the beginning of 2013, and have benefitted immeasurably from Vicky's years of experience and guidance. In this time we've developed a lovely partnership that has allowed us to develop new ideas, including our Fun Obedience classes and workshops. I also teach Puppy School classes on a Saturday with Emma, which we run and co-tutor together. I am fully qualified as a Puppy School tutor and work hard to diversify my areas of knowledge. This includes things like; scentwork, dog yoga, recall work and gundog training, but also understanding how our dogs learn, different ways of teaching and new ways to amend behaviour problems. I love having the opportunity to improve owner and dog relationships and solve behavoioural issues through our work in class, as well as providing training of practical skills; this offers owners the full support they may need on all fronts. 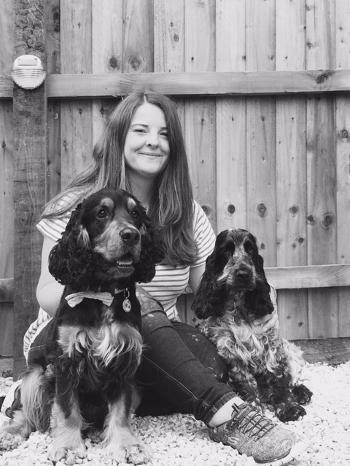 "I became involved with dog training after attending Puppy School & Fun Obedience classes with Vicky & Kate in 2015 with one of my dogs. I have a certificate in Dog Training and Behaviour and am also a fully qualified Puppy School Tutor. I am always keen to further my knowledge of dog behaviour and learning and so am committed to attending regular courses, seminars, Webinars and workshops. I love working with families and their dogs and enjoy seeing the results that positive training can achieve. I have learnt lots working alongside Vicky & Kate and feel very lucky to be a member of such a passionate and experienced team. Alongside Kate, I teach Saturday morning Puppy School classes and host our popular puppy social walks. I also assist our other classes including Puppy University, Fun Obedience and various workshops. My family and I share our home with 5 dogs; 2 Labradors, 2 Cocker Spaniels and a Pointer x Labrador. My dogs and I train twice a week in agility, and we also going Cani-Crossing together. 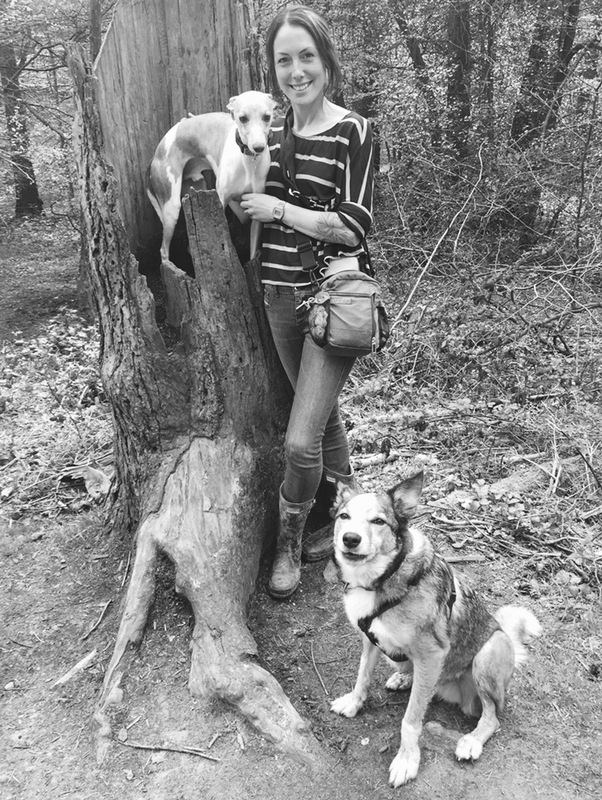 'I have been a part of the dog walking and pet sitting team since November 2017. My passion for animals started from a very young age, and I have spent most of my life surrounded by dogs and horses. I attended Puppy School with 2 of my Boxers; Binky & Bunny, who really benefitted from the reward-based training. My favourite place in the world is being out with my dogs in the countryside". Take a look at Vicky's TV debut on ITV's 'Country House Sunday' with Lynda Bellingham.